Overview of the opportunities for the AAL community in Switzerland. This report provides the AAL Community with practical information about the opportunities offered by Switzerland and related regional programmes and networks. 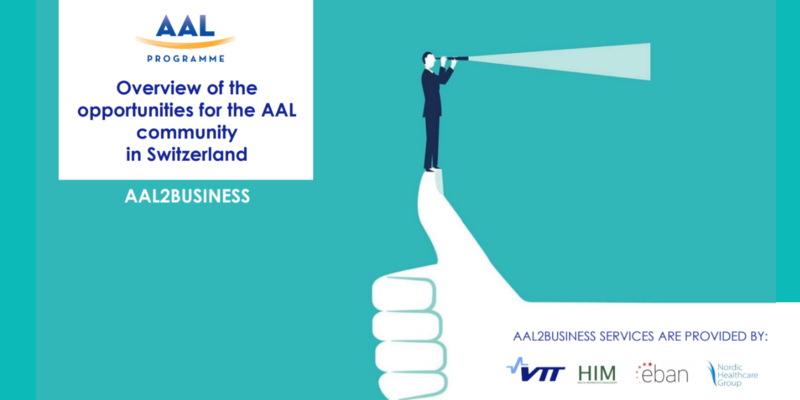 The aim of this information is to support AAL partners in their path to market by informing about services complementary to those the AAL Programme provides (see http://www.aal2business.com/) and help AAL partners getting in touch with important actors in their countries. AAL partners can also apply tailored support from AAL CMU on how to leverage opportunities offered at national and regional level. It is created by AAL2Business support action and funded by AAL Programme. For Switzerland, the Swiss ICT Investor Club (SICTIC) has collected the support organisations.